UFiber offers internet and telecom service providers a cost-effective fiber optic delivery system for Triple Play Services (data, voice, IPTV/VoD) with speeds of up to 2.488 Gbps downstream and 1.244 Gbps upstream. 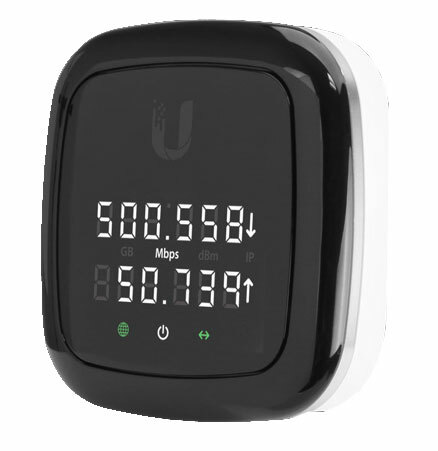 The UFiber network is intelligently managed using the included UNMS™ (Ubiquiti® Network Management System) controller. UFiber devices consist of the UFiber OLT or OLT-4 (deployed at the provider premises) and the UFiber Nano G or loco clients, which function as ONU CPEs (Customer Premises Equipment). UNMS is a comprehensive management controller, featuring a graphical UI that is easy to learn and navigate. UNMS manages all of the registered UFiber OLTs and all of their ONU clients. Download the Ubiquiti UFiber Datasheet (PDF).